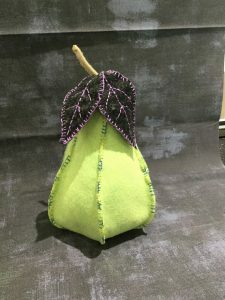 Isnt this the cutest pin cushion you have ever seen? I have had it cut out for a while but kept putting it aside because it is entirely hand sewn. Well I finally got a small dose of the hand-sewing bug and decided to sew it up and I sure am glad I did. I think it looks like an art piece but for sure it is a pincushion. This one I am keeping for me. If you want to make one a free pattern is available along with a great tutorial on MollyandMama.com. 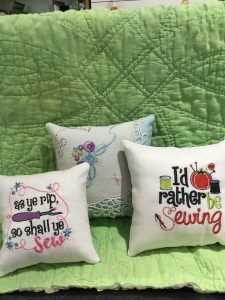 Now these I made to add to the collection for the Piecemakers By The Bay quilt show in January. 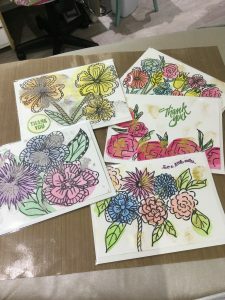 And these are a few watercolor greeting cards I experimented with. I already sold two! Thank you for looking. Have a safe and happy Memorial Day weekend.